WASHINGTON – President Donald Trump says he's giving Americans an "incredible Christmas gift" with tax cuts and a massive overhaul of the U.S. tax code, but the changes don't take effect until Jan. 1. If you act by New Year's Eve, tax experts say you can reduce your tax bill for 2017 — and 2018. "Any itemized deduction you know can be done now should be," says Monic Ramirez, a tax partner at accounting firm Sensiba San Filippo in California. – First, give more to charity in 2017. Have you been meaning to donate a couch to the Salvation Army or Goodwill? Or do you feel it's about time to give a little more to your religious institution or alma mater? If so, get it done by year's end. It helps reduce your income this year when tax rates are higher. Plus, you might not end up itemizing next year since the standard deduction is nearly doubling. "A lot of people who itemize now won't want to itemize next year, so they want to make sure they get a tax benefit in 2017 for that charitable contribution," says Bradley Heim, a professor at Indiana University who worked in the Treasury Department's Office of Tax Analysis under President George W. Bush and President Barack Obama. If you take the standard deduction in 2018, you won't get any tax savings from your charitable contributions. – Second, try to prepay your 2018 property taxes. If you own a home, you are familiar with property taxes. At the moment, you can deduct your local property taxes from your federal income tax bill, but starting Jan. 1, there's a $10,000 limit on all of your state and local taxes, including property taxes. Many people are rushing to try to prepay their 2018 bill now so they can take that extra deduction before the rules changes. It's a tax trick that will only work for this year, but it's worth trying. "There is no legal problem with prepaying your 2018 property tax in 2017," says Victor Thuronyi, a tax attorney who worked on the tax overhaul in 1986. "The main problem with prepaying is that a lot of jurisdictions don't accept the prepayment. They are not used to this." Check with your county to see whether you can prepay and make sure you either pay online or take a check to the office in person. Mailing it might not get it there in time to get it processed in 2017. There's one catch, warns Catherine Lee Clarke, senior client investment adviser at Sentinel Trust: If you prepay your 2018 property taxes, you might be giving up any right to contest your property valuation. That might not matter to most Americans, but Clarke's hometown of Houston was hit hard by Hurricane Harvey, and many homeowners are sitting on a property worth a lot less than it once was. What about prepaying state and local income taxes? Thuronyi says you can also try to prepay your state income taxes. The Republican tax bill tried to prevent this, but the legislation is worded in a way that is nebulous, some attorneys say. It appears the tax bill writers made a technical mistake, and it's unclear whether they will correct it. "I did send a small check to the controller of Maryland prepaying some 2018 tax. I figured, why not?" Thuronyi says. The worst that can happen is the IRS rules you can't take the extra deduction after all. – Third, make your business expenses now. If you pay union dues or buy a lot of supplies for your job (e.g. professional musicians buying new instruments) that you normally deduct on your taxes, you'll want to buy everything you can by year's end. At the moment, people who are classified as employees can deduct a lot of their unreimbursed business expenses on their taxes if the total is more than 2 percent of your adjusted income. But that deduction is going away entirely in 2018. – Fourth, max out as many other deductions as you can. The general rule of thumb is: Try to take the credit or deduction in 2017. For example, teachers can get up to a $250 credit for buying supplies for their students. That's not going away, but it's still more valuable in 2017 than next year. "If you're an educator and you're deciding whether to buy something for your kids this year or next, you get a greater tax benefit from it this year," Heim says. He also recommends putting more money into your 401(k) or IRA retirement plans if you have the chance. Another tactic is to try to prepay your home-equity loan interest. That deduction goes away next year, so it's worth calling your bank and seeing if you can prepay at least some of the interest so you can get the tax savings in 2017. Another deduction that's going away in 2018 is for tax preparation services. Ask your accountant now for the invoice they would normally give you in April after the file your tax return. If you can pay it now, you can still deduct it. "Try to prepay your accountant," says James Brockway, a tax expert who is of counsel at Withers Bergman in the New Haven, Conn., office. "You can also try to prepay investment management fees, since those are going away too in 2018." – Fifth, delay income until 2018 (if possible). It's also a good idea to try to delay income until January when the tax rates are lower, especially if you are a small-business owner. So if you are chasing up some customers or clients to pay the bill you sent them awhile ago, you might want to wait until January to really get aggressive on collecting. In addition to lower tax rates, small business owners get a generous benefit starting next year of being able to deduct 20 percent of their business income tax-free. All of this sounds like a lengthy "to do" list at a time of the year when you just want to relax with family, but an hour or two of work could save hundreds, if not thousands, of dollars on your taxes. "For taxpayers that do itemize, especially those with very high incomes, a little planning now could mean big savings," says Clarke of Sentinel Trust, although she notes that over 60 percent of U.S. households take the standard deduction already, so they can rest easy. 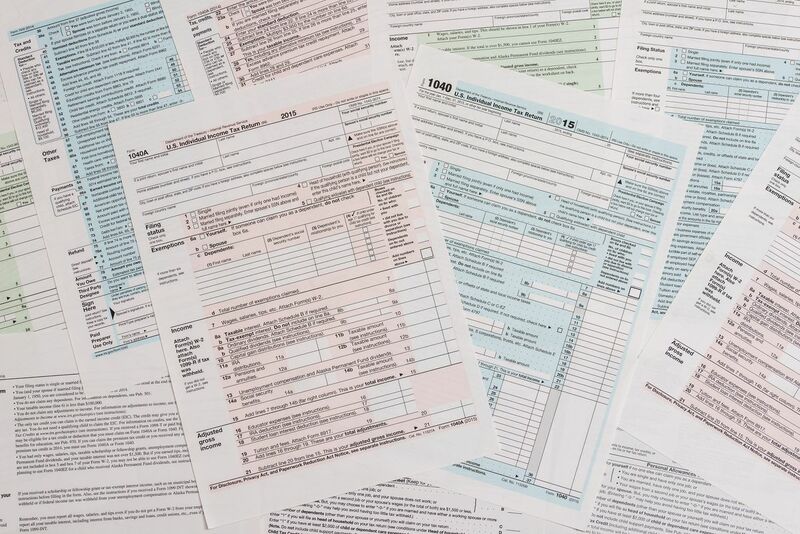 Finally, there are quite a few tax items you don't need to stress about. Republicans considered a lot more changes to the tax code that would have affected the middle class. But in the final bill that went to Trump's desk, there are no changes to the student loan interest deduction, the extraordinary medical expense deduction, the teacher classroom supply credit, the electronic vehicle credit, the tuition waiver for graduate students and the capital gains rules on selling your home. And if you are thinking about a divorce, you have one more year to do it and be grandfathered in under the current rules where the person paying alimony can deduct the amount on his or her taxes. The alimony deduction doesn't go away until Jan. 1, 2019.